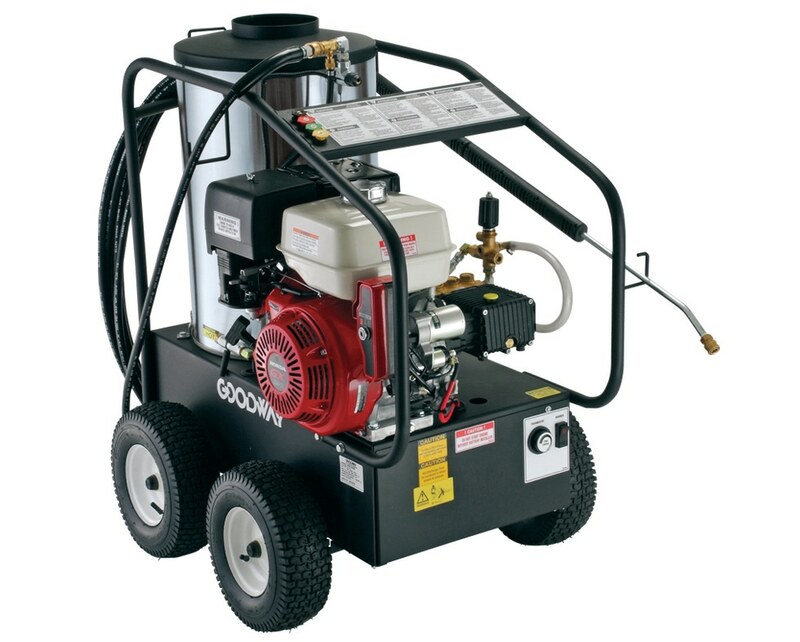 The HPW-3500-G Hot Water Pressure Washer is Goodway's most powerful unit. It is designed to tackle even the toughest applications. The unit comes equipped with a stainless steel wand, a soap injector and four quick connect nozzles. It is powered by the latest 13 HP Honda engine and heats water up to 200F through a Beckett diesel burner. HPW-3500-G Heavy-Duty Gasoline Powered Hot Water Pressure Washer with diesel burner, 13 HP, including 4' wand, 50' high pressure hose, four quick connect nozzles, soap injector and cart. 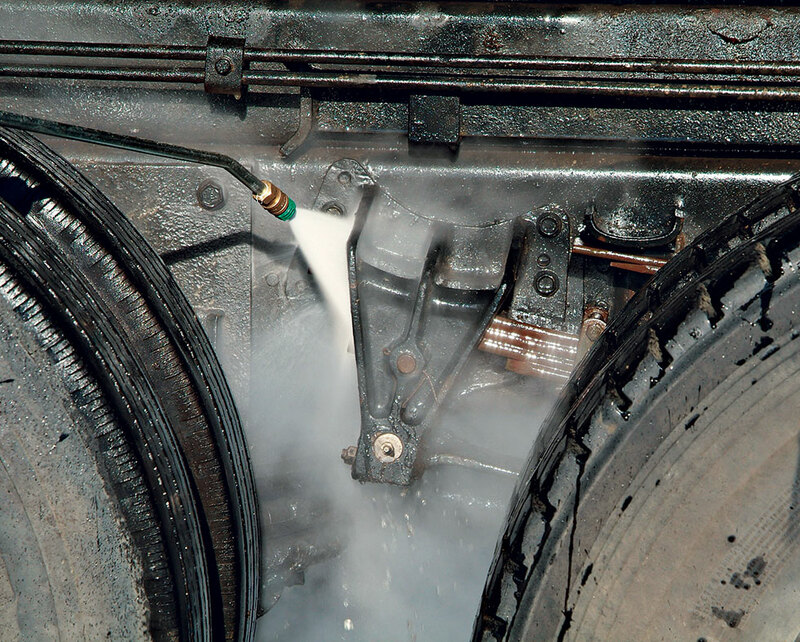 Please note:Pressure washer is gasoline powered Burner for hot water is diesel powered.